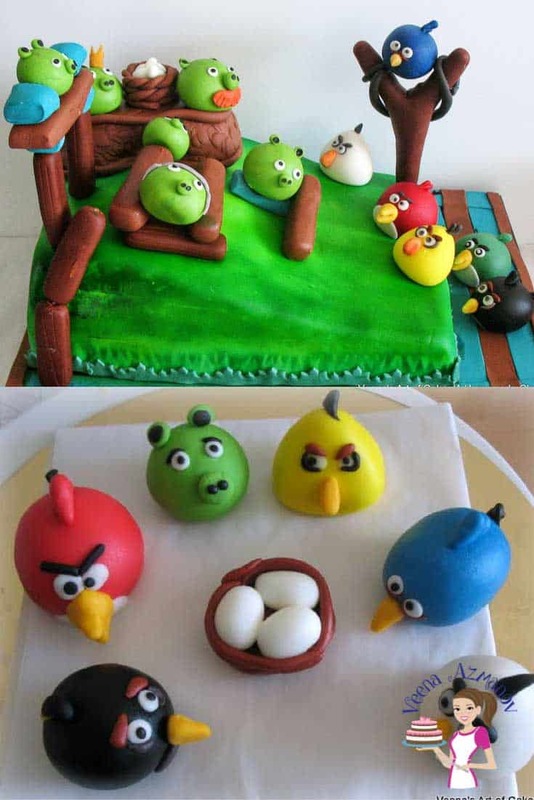 An Angry Birds Cake is a great theme for little kids both boys and girls. These characters do take a bit of time to make but are well worth the effort when you see the kids excitement about them. 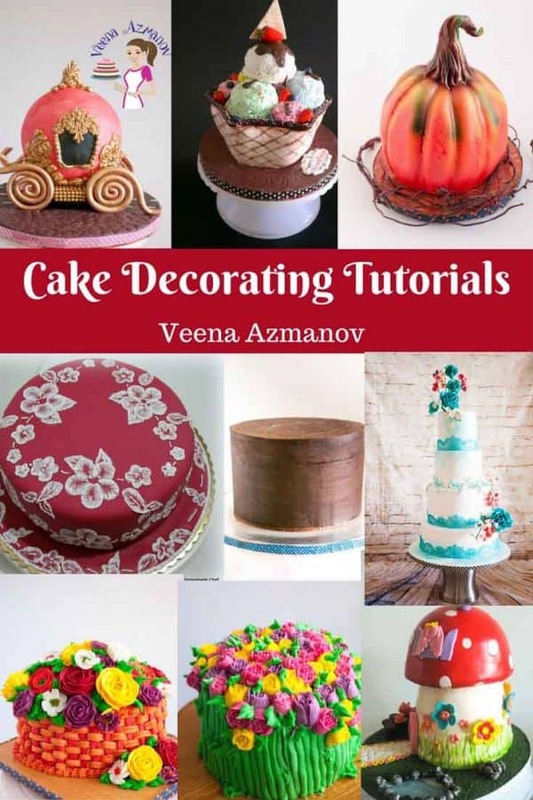 This is a simple and easy progress pictures and airbrush technique I used to make this cake. 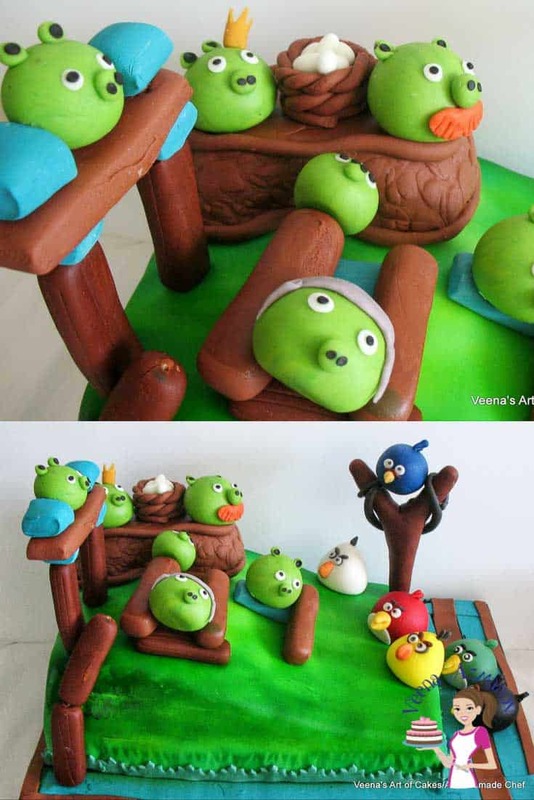 This Angry Birds Cake I made recently to celebrate my son’s birthday in school. 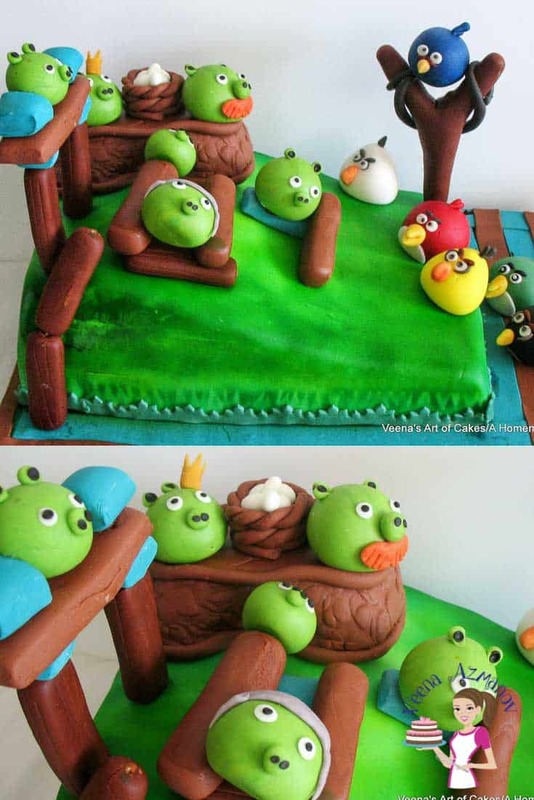 An absolute winning cake for any 5 year old I think. Girl or boy they sure love these birds. My son sat besides me telling me how I should make these. He knew exactly how each one was different from the other. Honestly I presumed all the green ones were the same but – they are not! No mama no.. that one has to have a crown. No mama the crown has to be a bit darker than this orange. Mama he’s the baby make him small… …Ah!! drove me crazy!! But he enjoyed it so much. The excitement of it is so much fun. I was planning to make a blog post but I had to make a video because I wanted to show you how I airbrushed the cake. So The video has all these pictures below as well as the airbrush video. 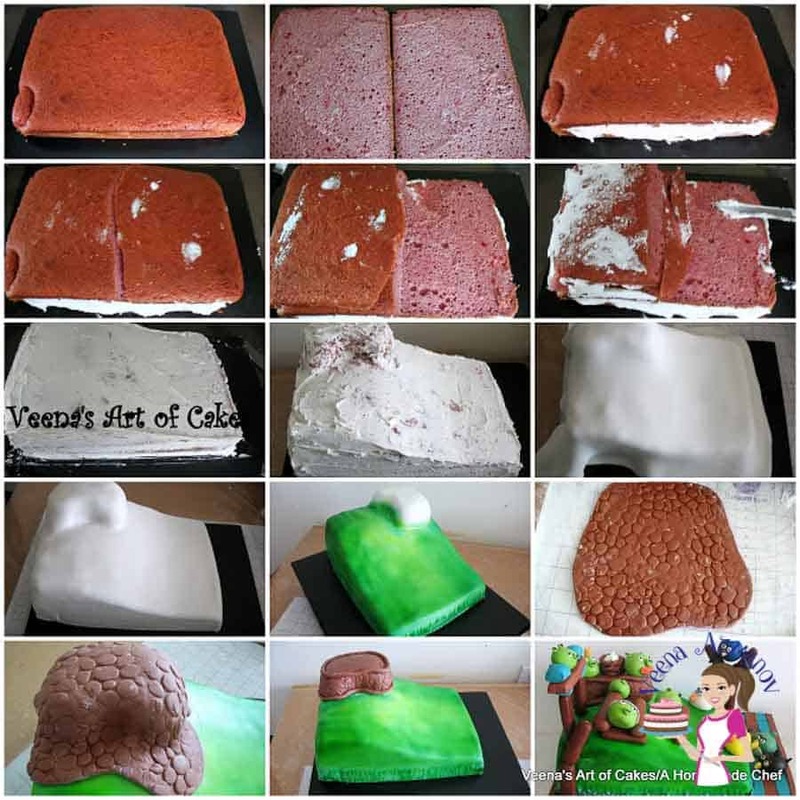 Here’s a collage showing how I carve the cake.